Hi there, are you ready to start a new week? I sure am! I am sitting in training all week again, so I will be having a pretty busy week, but all will be good. I have some changes happening in my work schedule and my crafting time will be cut even shorter than before. I will still try to do my best to bring pretty creations your way. 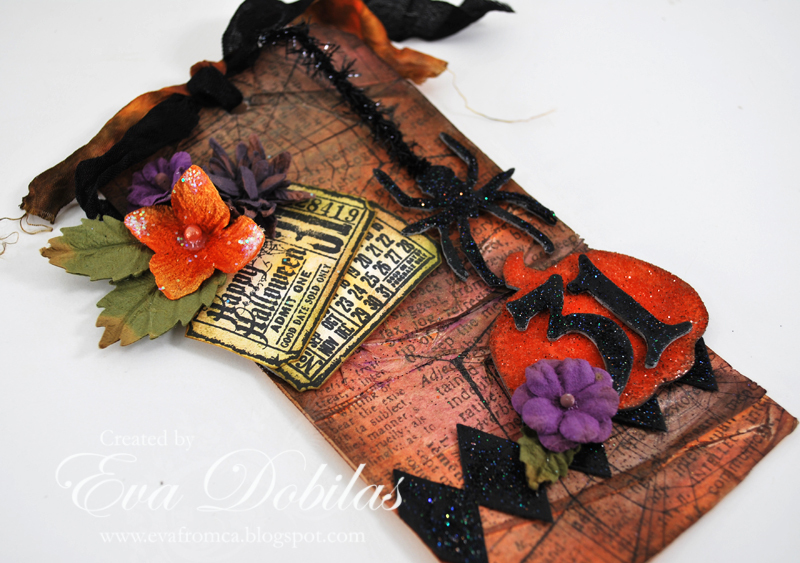 Anyway, today I have the October Tim Holtz tag to share with you...well, a modified version of it. My friends and I got together a couple of weekends ago and we all made a tag using Tim's instructions. For this tag I used pretty much all Tim Holtz dies, with the exception of one. Scrap-mart carries a lot of beautiful Tim Holtz Sizzix dies, so make sure you check them out. 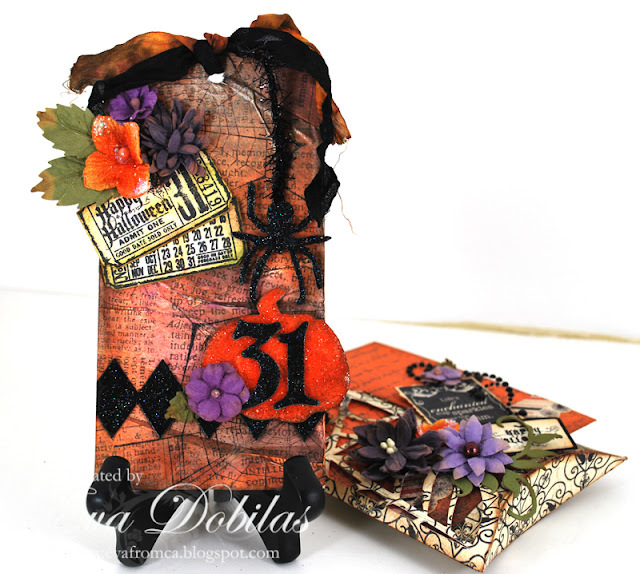 The ink I used on my tag are also by Tim Holtz, all distress inks. And the stamps I use are also by Tim Holtz, so yes, there is a lot of Tim Holtz on this tag as you can see. I also added some pretty Petaloo flowers to this tag, which coordinate with it perfect in my opinion. Well, hope you enjoyed this tag and thank you for stopping by. Have a wonderful Monday and a great week! !